How to organize a study group or meeting. Plan to have a way to play the podcast, and loud enough speakers for the whole room to hear. Advertise with social media, emails, or paper flyers. Make sure to include who what when where why. In the beginning, it may just be a small group of friends or people at an institution to which you belong. On the day of the event, show up early. Set up and test the equipment. Greet people as they come in. You may want to have a printed copy of The Thread's mission and working principles for people to read while they wait for the meeting to start. Prepare an agenda (a list of things you'll discuss) for the meeting, and share it with the group at the beginning. People may discuss and vote to include other agenda items. Say who you are, who organized the meeting, and what you hope to get out of it. We suggest not going around the room and everyone introducing themselves. This usually takes a lot of time from the meeting, and people can discuss their personal backgrounds during the discussion. 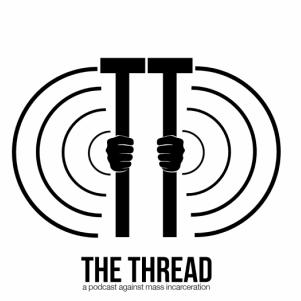 We suggest reading aloud the mission and working principles of The Thread. Questions, comments. Listen to an episode, listed on the home page. Use study questions as needed (posted below the episode) to generate discussion. Leave 10 minutes to write summary of major points of agreement, disagreement, and questions to post to The Thread website (or send to brokenonallsidesintern@gmail.com). Leave 5 minutes for announcements of other activist events going on. During the meeting, pass a sign-up list for people to sign in with names, phone numbers, and emails if they'd like to continue working on this issue. It helps to have one person dedicated to "facilitating" or running the meeting. This person calls on other people, is mindful of time and the agenda, and keeps things moving. They do not have to be an expert, and it does not have to be the same person for multiple meetings. If you organized the meeting, you should either facilitate, or plan beforehand for someone else to facilitate. The facilitator can invite people to raise hands when they have a question or comment, and the facilitator should call on people.​ This not only allows for an orderly discussion but it also is the most democratic way since it makes sure that everyone has the possibility to speak (not just the most confident or loudest voices in the room). People like to talk. Sometimes the facilitator may need to help people finish their thoughts or politely tell them "we want to make sure we hear from everyone, so please finish your thought and we'll hear from others." If someone keeps raising their hand or talking, you can also say, "Can we hear from someone who hasn't spoken?" It is important to provide space for people who are typically marginalized in group discussions. White males often feel the most entitled and courage to speak, so it's OK to say you'd especially like to invite women or people of color to speak. But don't make anyone talk, and we wouldn't suggest going around the room and making people talk before they're ready. It can weaken the discussion and can make people uncomfortable. You may want to try to organize a follow up meeting at the end. Discuss if people would be interested in coming back again.